BT announced the global launch of BT Connect Intelligence IWAN, an innovative managed service that enables organisations to automatically route and optimise network traffic and gain visibility of applications performance without spending more on bandwidth. BT Connect Intelligence IWAN integrates the Cisco Intelligent WAN (IWAN) solution into the BT Connect portfolio of network services. BT said this new service builds on its existing intelligent network capabilities by using a hybrid environment and managed Software Defined Wide Area Network (SD-WAN) technology. It brings new options to reduce the cost of customers’ networks whilst securing the performance of applications. “BT has been leading the research into emerging virtualisation technologies from the beginning. For years, we have also been adding ‘intelligence’ to the network services we provide to our customers. NFV and SDN are part of that drive, and aim at making those services more dynamic and automated. They pave the way for a new generation of services that are quicker and easier to set up and change. BT Connect Intelligence IWAN leverages the Cisco IWAN solution to bring an important new building block in that virtualisation effort. It will help our customers all over the world deal much more effectively with ever increasing bandwidth and traffic optimisation demands, allowing customers to network like never before,” stated Keith Langridge, vice president of network services, BT Global Services. Walgreens Boots Alliance’s businesses in the UK and in around 20 other countries are set to be some of the first BT Connect Intelligence IWAN customers. Enhanced application visibility and analytics, available via centralised, user friendly reporting, which gives customers deep insight into their application and network performance. This will also allow BT to enhance its monitoring and incident management service to customers. 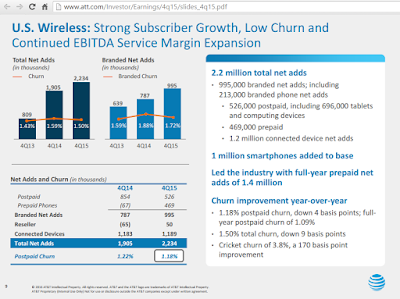 Citing strong wireless net adds, AT&T reported consolidated Q4 2015 revenues of $42.1 billion, up more than 22% versus the year-earlier period largely due to the acquisition of DIRECTV. Compared with results for the fourth quarter of 2014, operating expenses were $34.6 billion versus $39.9 billion; operating income was $7.5 billion versus $(5.5) billion; and operating income margin was 17.9% versus (15.9)% in the year-ago quarter. 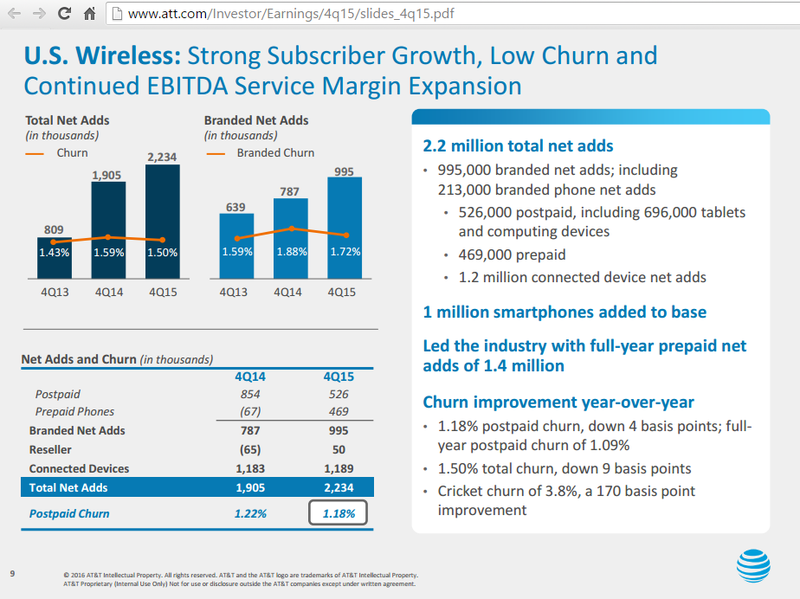 Fourth-quarter 2015 net income attributable to AT&T totaled $4.0 billion, or $0.65 per share, compared to a net loss of $4.0 billion, or $(0.77) per share, in the year-ago quarter. Adjusting for the $0.22 non-cash actuarial gain on benefit plans from the annual remeasurement process and $0.20 of costs primarily for merger- and integration-related items, earnings per share was $0.63 compared to an adjusted $0.56 in the year-ago quarter, an increase of 12.5%. “We now have a unique set of capabilities that positions us for growth and also gives us a strategic advantage in providing consumers and businesses the integrated mobile, video and data solutions they want,” said Randall Stephenson, AT&T chairman and CEO. “Our DIRECTV integration is going well, and the customer response to our new integrated mobile and entertainment offers is strong. Throughout this year, we plan to launch a variety of new video entertainment packages that give customers even more choices. “We’re also seeing terrific results from our expansion into the Mexican mobile market. Our LTE network now covers 355 million people and businesses, and in the quarter we had 2.8 million wireless net additions,” Stephenson said. Ericsson's Q4 2015 sales increased by 8% YoY to SEK 73.6 (US$8.64 billion). Sales, adjusted for comparable units and currency, decreased by -1%. Operating margin increased to 15% (9%) YoY with improvements in all segments. The major contributors to the profit improvement were higher IPR licensing revenues and lower operating expenses, mainly in segment Networks. In North America, the mobile broadband investments remained stable, with additional hardware sales in the quarter. Emerging markets such as India, Indonesia and Mexico remained strong while markets such as Russia, Brazil and parts of the Middle East continued to be weak, mainly due to macro-economic developments. Investments in Europe were driven by the transition from 3G to 4G and capacity enhancements. Operators increased their investments in telecom core networks, driven by deployment of new service offerings such as VoLTE. 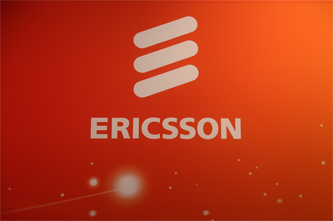 Ericsson ended the year with good YoY sales development in TV and Media which contributed to growth in Segment Support Solutions. 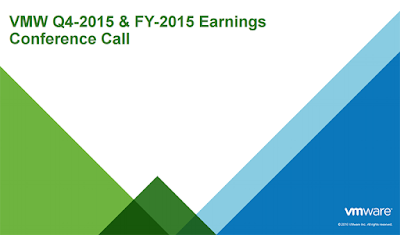 Juniper Networks reported Q4 2015 revenue of $1,319.6 million, an increase of 20% year-over-year and 6% sequentially. Juniper's operating margin for the fourth quarter of 2015 increased to 21.2% on a GAAP basis, from 20.7% in the third quarter of 2015, and increased from (63.7%) in the fourth quarter of 2014. Net income (GAAP) was $197.8 million, consistent with the third quarter, and increased significantly compared to a GAAP net loss of $769.6 million for the fourth quarter of the prior fiscal year, even when adjusted for the $850 million non-cash goodwill impairment charge taken in the fourth quarter of 2014. GAAP net income per diluted share was $0.51, inclusive of a $0.03 benefit due to the renewal of the R&D tax credit for 2015. "2015 was a year of solid execution and product innovation for Juniper Networks. 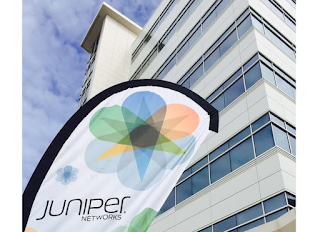 I am very proud of the many accomplishments we've made as a company to drive growth and create value," said Rami Rahim, chief executive officer at Juniper Networks. "As a challenger in this industry, we plan to remain nimble, anticipate and deliver what our customers require for network innovation, and continue our relentless focus on execution to maximize long-term value for our shareholders." The company also announced that Robyn Denholm will step down as CFO and be replaced by Ken Miller, who currently serves as the company's senior vice president, finance. SecureAuth, a start-up based in Irvine, California, closed $10 million in follow-on equity financing for its adaptive access control solutions. SecureAuth said it achieved 70% year over year growth in 2015, which marks seven consecutive years of successive, high-double digit growth. The company has from its two-factor authentication and single-sign on (SSO) roots to its role as an adaptive authentication leader. SecureAuth IdP is currently protecting over five million users worldwide. 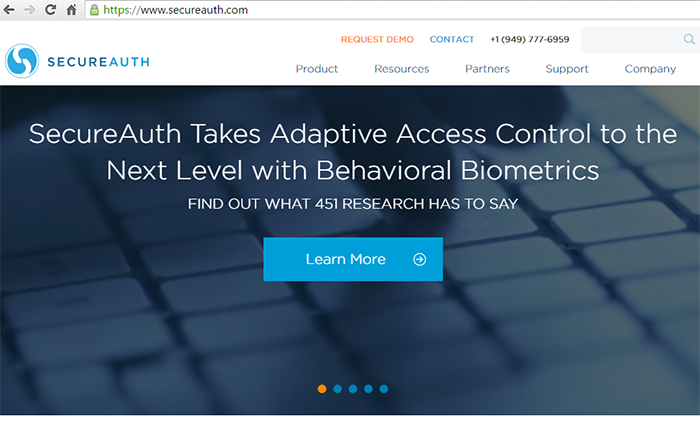 To date, SecureAuth has raised $40 million in equity financing. VMware reported Q4 revenue of $1.87 billion, an increase of 10% from the fourth quarter of 2014, or up 12% year-over-year on a constant currency basis. GAAP net income for the fourth quarter was $373 million, or $0.88 per diluted share, up 17% per diluted share compared to $326 million, or $0.75 per diluted share, for the fourth quarter of 2014. VMware also announced a restructuring and realignment of approximately 800 roles and plans to take a GAAP charge estimated to be between $55 million and $65 million related to this action over the course of the first half of 2016. In addition, the company announced the appointment of Zane Rowe as its new chief financial officer and executive vice president, replacing Jonathan Chadwick, who stepped down.